Comes with a choice of io-ball(s) – choose between gray or red colors, and your desired quantity (1, 5, 10 or 20). The io-Ball is taking America by storm. The io-Ball increases your stamina, coordination, strength, rapidity and flexibility. io-Ball’s unique elliptical shape and reactive surface force muscles to a permanent counter-reaction, intensifying your workouts and training sessions. The io-Ball’s benefits are so amazing, that it is now featured in classes at over 90 Equinox fitness clubs around the world. 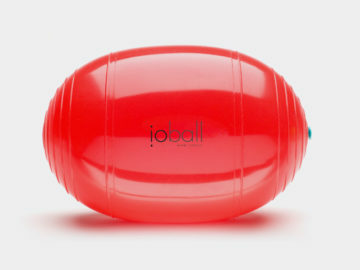 Now you can use the io-Ball in your home workouts too! To get you started immediately, we have bundled an io-Ball and several of our best workouts (both quick and long-form) into this specially priced start-up package.